With a deep interest in creative services marketing as a niche area of expertise, Lauren is Founder & Owner of MRS WOOLF – a boutique marketing consultancy to the creative industry, from artist to agency. Lauren Woolf started her career in communications at the Spur group in Cape Town before grabbing the opportunity of working on the VW brand at Ogilvy & Mather's RST&M. After 5 years on the VW as well as Cape Talk, WWF and NSRI accounts, and a subsequent appointment to the board of the company, Lauren moved to Switzerland. There, she worked for BAT as Brand Manager on Lucky Strike before starting her own marketing services company called Antipod, offering brand consultation to clients such as Bulgari, Syngenta and Diagio. After deciding to move back to SA and selling Antipod, Lauren re-joined Ogilvy & Mather in Johannesburg as Business Director, heading up SuperSport, DSTV and MNET, as well as Sprite, Fanta and Audi of South Africa. In 2006, Lauren was appointed as Director of Account Management, leading South Africa’s largest agency account team and was appointed to the Company Board of Directors at the same time. 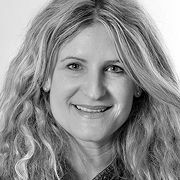 In 2009, Lauren took on a new role for Ogilvy, managing high level company projects and assignments, and became Group Marketing Director for O&M SA, joining the company's Executive Board. In 2014, Lauren was appointed Chief Marketing & Talent Officer for O&M SA. Lauren believes that joining the programme at the Berlin School of Creative Leadership holds so many possibilities and opportunities; “I believe that the EMBA can play a great part in my personal and professional development by presenting opportunities to re-evaluate, re-energise and help add value to the family of industries that I am part of." She completed her MBA and graduated from the Berlin School of Creative Leadership in 2016.